EDDIE CONWAY: Some people don’t realize how much private prison industry is profiting off of ICE detainees. In 2018, a leaked White House memo called for a doubling of the people in immigration detention to 80,000 per day. As of August 2016, three quarters of the average daily immigration detainee population was held in facilities operated by private prison companies. To give context to how the private prison system has grown so tremendously, we have to understand its origins. After slavery, the Southern slave system was privatized, fulfilling the role slaves had filled working in the cotton fields and the coal mines for US Steel company. It became the world’s first billion dollar company. SHANE BAUER: The history of for-profit prisons goes way back; I mean, back really to the American Revolution. The first penitentiaries in this country were meant to turn a profit. They were essentially factories where prisoners were laboring from dawn to dusk for private contractors. In the South in particular, after the Civil War, prisoners were put to work on plantations and coal mines, laying railroad tracks. All the Southern prison systems were privatized, so prisoners were forced to labor or private companies much like they had labored as enslaved people. This world is the world in which the founder of the Corrections Corporation of America started his career. A man named Terrell Don Hutto. Ran a prison plantation in Texas, and he later ran prison plantations in Arkansas at a profit to this state. He was really the last person to run a publicly run prison at a profit. He was approached a few years later by a couple of businessmen who proposed the idea. They knew him and knew his reputation for running prisons as a business. And they proposed the idea that they start a corporation where rather than making money from prison labor, the prisoners themselves would be the commodities. And they would essentially be building prisons, and states would be paying them money to run their prisons, and they would trade on the New York Stock Exchange. So they started basically the modern private prison industry from there. EDDIE CONWAY: We talked to Sylvester Owino, who filed suit against Civic Core because of their abuses. SYLVESTER OWINO: Lots of things happen, as in lack of medical attention for detainees. Because of that I’ve seen a lot of detainees’ health get worse. Some of them die. There was abuse by prison guards. EDDIE CONWAY: Some of these abuses include overcrowding, leaving prisoners in isolation for lengthy periods of time, witholding medical treatment, and forcing detainees to work for no pay. Abuses also occur in transporting prisoners into private prisons. Vans do not have prisoner beds, toilets, or medical service, and can travel up to a week at a time. SYLVESTER OWINO: The system as we know it is broken. My case went to the higher courts wto times. And they kept sending it back to the lower courts, suggesting that the lower courts made errors. So now when it came back to the lower courts, the same judge that denied me said no, I didn’t make errors. So given my situation, I have to fight my case. And that’s what I did. 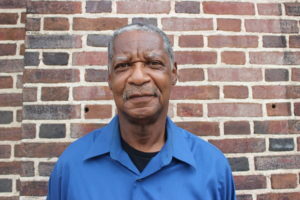 EDDIE CONWAY: Civic Core Inc., Formerly Corrections Corporation of America, and The GEO Group are two of the largest managers of private prison contracts in the nation. Divestment alone won’t stem the tide. Is too easy for someone to come in and purchase the shares. STAR BACON: I do think that it’s more than just divestment. I think it’s making sure that people are aware that, you know, your pensions, your 401K, that all this is invested in private prisons; that literally people are monetizing black bodies, brown bodies. ANTHONY WILLIAMS: The most difficult thing is that these universities don’t advertise them, and so students or activists and organizers have to do a lot of background work, which includes the Freedom of Information Act; going to different websites to find out where–particularly often it’s through investment firms, through retirement funds. So you have to start there and ask a lot of questions, and sometimes directly ask Chief Investment Officers. But they’re not always forthcoming. AMANDA DIAZ: Just to focus our efforts on divesting from prisons and detention centers, that’s obviously an amazing fight. But that doesn’t sort of–I guess it doesn’t happen overnight. And so shifting the culture, shifting the way we think about prison and punishment, I think is an effort that we should do simultaneously. Because once we sort of dissect what it means to be in prison and what it means to be punished, and that society, we’re able to sort of even envision what it looks like, to have a world without prisons or having a world without caging people inside detention centers and prisons. EDDIE CONWAY: To make a real dent, money management groups like Vanguard would need to renounce their interest in those corporations that fund private prisons. Still, the divestment is a good start. Thanks for joining me. I’m Eddie Conway for The Real News.